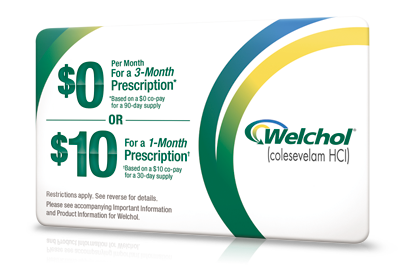 Welchol is not for everyone, especially those with intestinal blockage, those with blood triglyceride levels of greater than 500 mg/dL, or those with a history of pancreatitis (inflammation of the pancreas) due to high triglyceride levels. 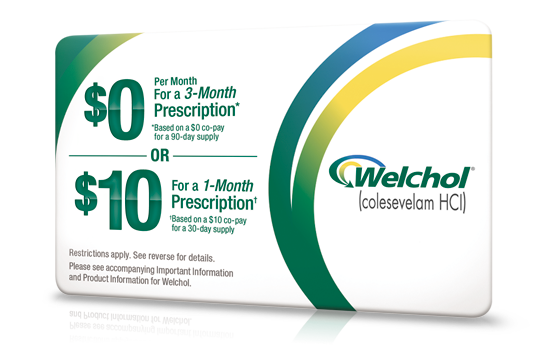 You may experience different side effects with Welchol depending on whether you have high cholesterol, type 2 diabetes, or both. In clinical studies, Welchol was not associated with weight gain. *In type 2 diabetes clinical studies, the incidence of low blood sugar (hypoglycemia) was comparable between Welchol and placebo groups and was not associated with weight gain. Welchol has not been studied with all anti-diabetes medications.